Over 100 stalls showcasing a vast cornucopia of curios and collectables! Get Fit – For FREE! There’s still time to take advantage of our FREE entry offer and burn some unwanted calories against the stunning backdrop of 568 acres of National Botanic Garden. We have created a series of trails around the Garden – some on flat paths to suit strollers, pushchairs and wheelchairs; and some more rugged, off-road routes around the estate. And, if you can get to the Garden Monday-to-Friday in January, admission is completely FREE. What better way to try out your new fitness gadget, dig out and dust off that FitBit you were given last Christmas and clock up a serious number of steps? The various trails are clearly way-marked and there’s a free map to accompany you on your journey – the map is also downloadable if you want to check it out pre-visit. And each route has a ‘cupcake’ rating that indicates the degree of difficulty. So, whether you are planning a buggy boot camp, have a walking group in search of a new venue or you belong to a fitness group in need of a change of scene, this will fit like your favourite trainers. A vast cornucopia of curios and collectables is set to transform the National Botanic Garden of Wales this weekend – as the Derwen Antiques Fair prepares to return. Antiques, retro and vintage will take centre stage among the rare and endangered blooms here on Saturday and Sunday 26 and 27 of January. The Derwen Fairs flagship event has increased from just 23 stalls in the early days, to more than 100 dotted around the site including Theatr Botanica, the Garden Marquee and the impressive Regency-era Principality House. The Garden and the fair are open from 10am to 4.30pm (last entry is 3.30pm). Admission to the Garden is only £5, with free parking. Exciting projects: tell us what you think! The National Botanic Garden of Wales is looking for new opportunities to improve the quality and range of visitor experiences, including a National Sculpture Trail and a National Art Gallery. The Garden is carrying out a study to consider your feedback on these two initiatives. This survey has a maximum of 20 brief questions and should only take a couple of minutes to complete. Your responses will make a valuable contribution to the Garden’s future direction. The information collected within this survey is meant for internal use only and will not be shared with third parties. Throughout January Growing the Future has hosted a series of talks in the Garden starring inspirational women in horticulture, covering aspects such as their career journeys and horticultural interests. On January 25 at 12pm – the last talk of the series will be – ‘Treborth Botanic Garden – small garden, big plans’ by Natalie Chivers. Learn more on the scientific research and horticultural developments within the Botanic Garden with an introductory talk by Abigail Lowe, a Garden PhD student, on her research to discover what plants pollinators are using within the Botanic Garden and Waun Las Nature Reserve, using pollen DNA metabarcoding. Enjoy this FREE series while also taking advantage of FREE Garden entry during weekdays in January. For more information click here. To book your place, please visit the Garden’s Eventbrite page. The British Bird of Prey Centre has been named number 1 on the list of top things to do in Carmarthenshire on Trip Advisor in 2018 and 2019. The centre has a specialist collection of British raptors, focusing on the welfare and conservation of our native species of birds of prey. Every Monday and Friday is Doggy Day at the Garden. Bring your pet pooch for a lovely walk around our beautiful Garden. 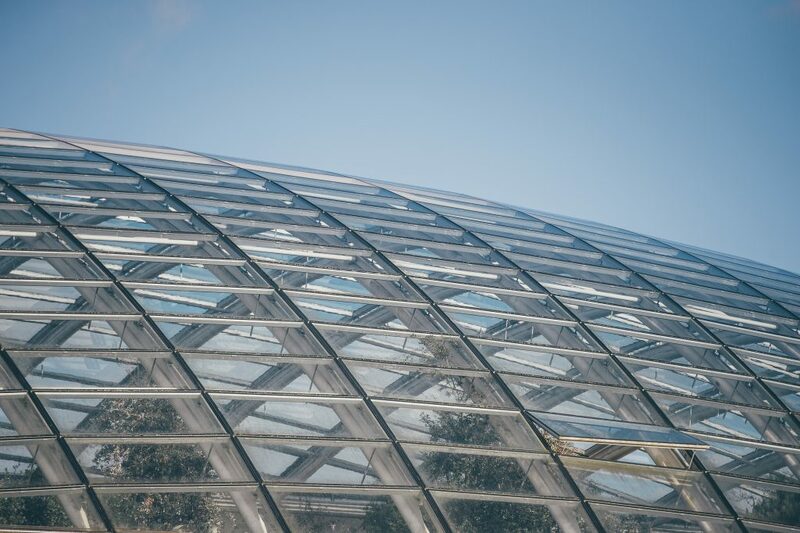 The Growing the Future project at The National Botanic Garden of Wales is searching for an enthusiastic individual to work as a Horticultural Trainer. This is a fantastic opportunity for an individual with a good technical knowledge of horticulture, proven experience in training and a strong interest in the health and well-being of others. You’ll develop and deliver a range of horticultural courses and learning materials for individuals and groups. Fluency in written and spoken Welsh is highly desirable and an understanding and commitment to the mission of the National Botanic Garden of Wales is essential. The closing date is Friday 8th February 2019. For more information, please visit the Garden’s website.